Advance Copies of “The Painters’ Panorama” Are Here! The first advance copies of The Painters’ Panorama: Narrative, Art, and Faith in the Moving Panorama of Pilgrim’s Progress arrived in the mail yesterday! Thank you to the University Press of New England for sending it and creating such an elegant book. It has been twenty years since the panorama–thought to have been lost for a full century–was rediscovered in the collection of Maine’s Saco Museum. 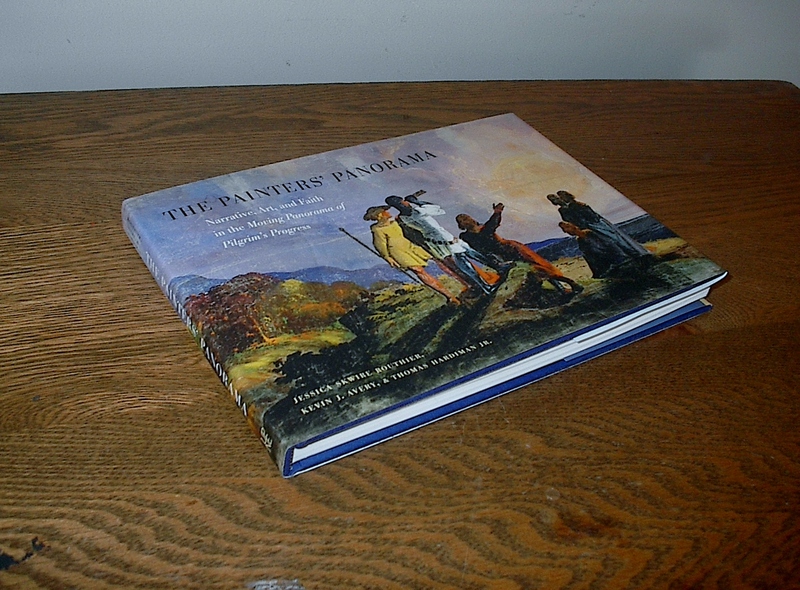 So this book is the culmination of two decades of work to restore it, reinterpret it, and make it accessible once again to fans and scholars of panoramas, nineteenth-century American painting, John Bunyan (author of The Pilgrim’s Progress) and many others. Author bios on the jacket flap. The book’s authors–myself, Kevin J. Avery, and Thomas Hardiman Jr.–all played important roles in bringing the panorama back to public life. But we want to also share this moment with Leslie L. Rounds, Director of the Dyer Library and Saco Museum (who contributed the book’s Introduction) and Peter Morelli, a longtime trustee of the library and museum, who can accept as much credit as anyone–probably more–for the fact that the panorama is known about, cared for, and appreciated today. 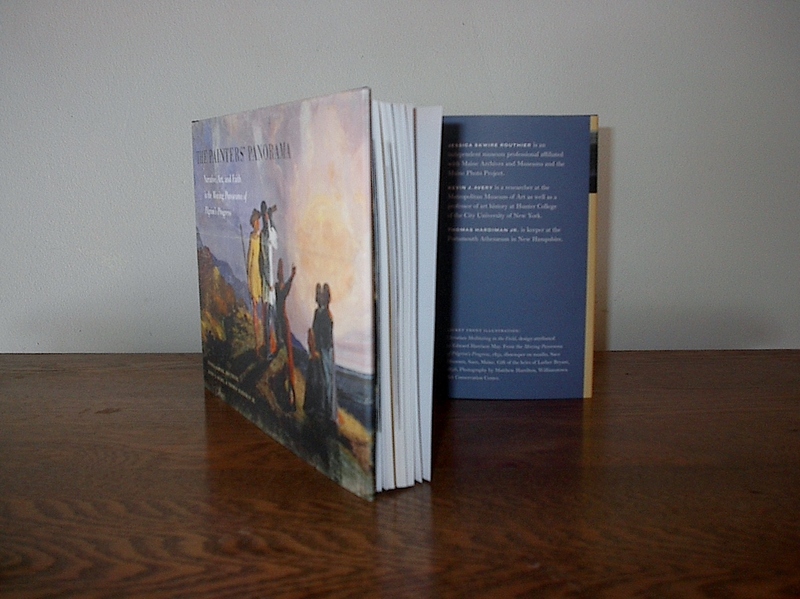 The panorama and this book about it touch upon many different disciplines and communities, from 17th-century English literature and theology to the Hudson River School of American landscape painting to an international phenomenon of panorama painting and scholarship that continues to this day. In its purest sense, however, this book is a paean to the power and importance of museums, particularly the small Maine museum that took on one of the biggest paintings in the world. Dedicated to the ones I love. 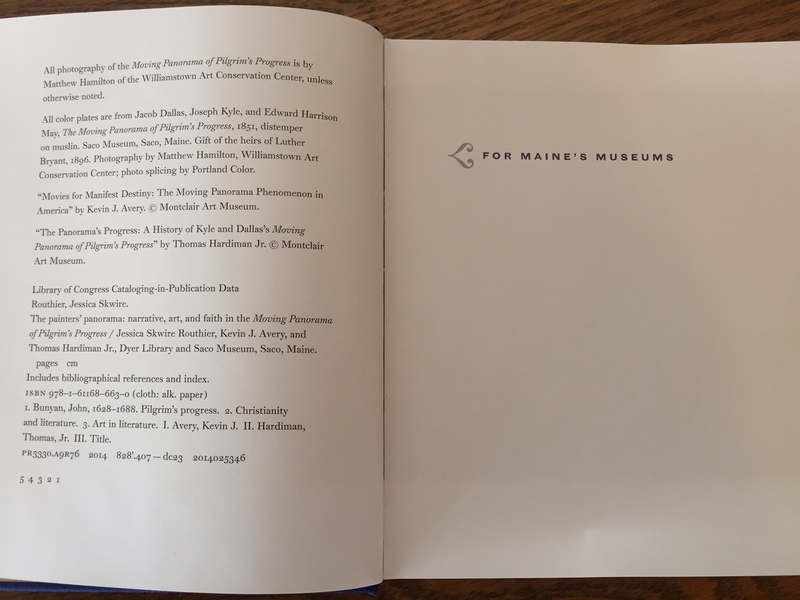 The two years I spent preparing this book for publication were also the two years I spent as President of Maine Archives and Museums, the organization dedicated to “supporting and promoting Maine’s collecting institutions.” Those efforts will forever be connected in my mind, and so I wanted to connect them in the pages of the book, too. The official publication date is May 5, 2015. Place your pre-orders now! ← Panorama Book Online and at the College Art Association!